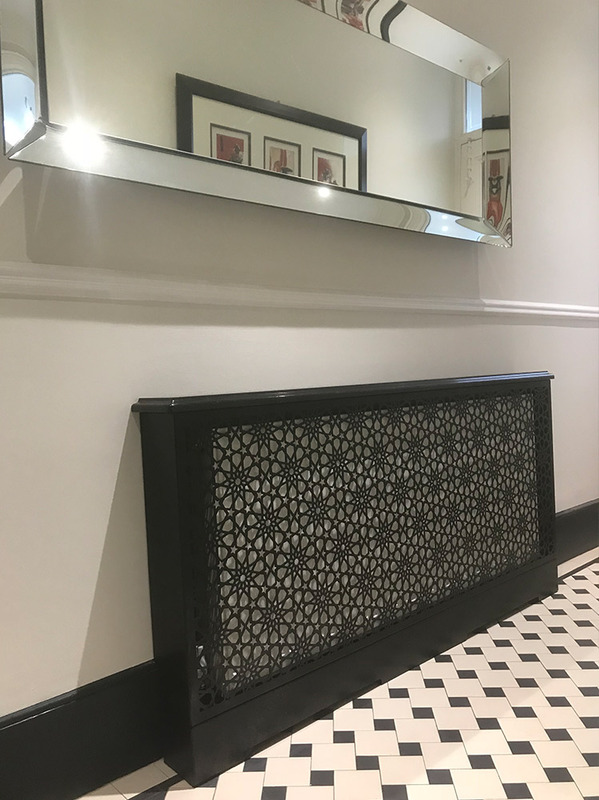 Huge range of arabic and moroccan style fretwork patterns on our high performance metal and marble radiator covers. 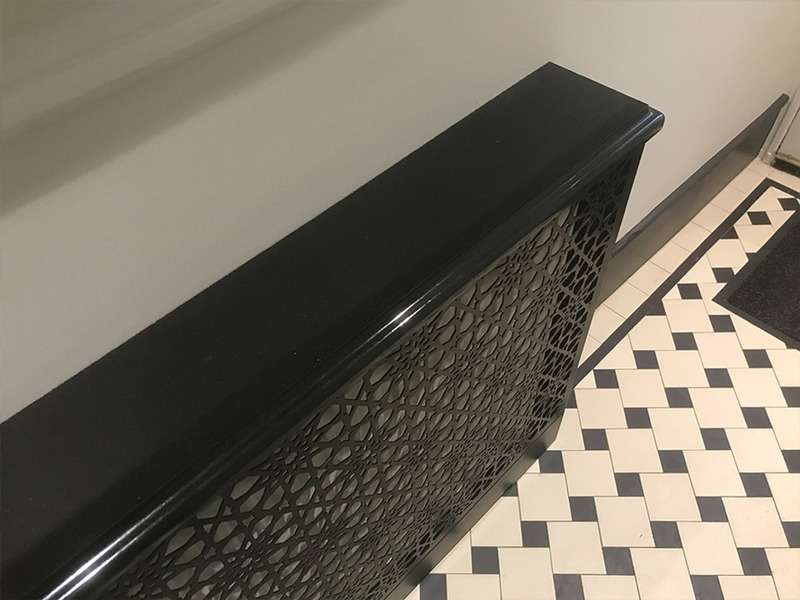 Choose from a wide range of arabic and moroccan styles from our online gallery to incorporate into any radiator covers for ultra modern and traditional interior settings. 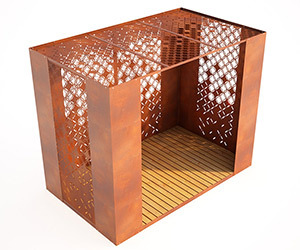 Custom made to your exact colour, finish and detailing, all covers are made to your exact dimensions so a perfect fit every time. 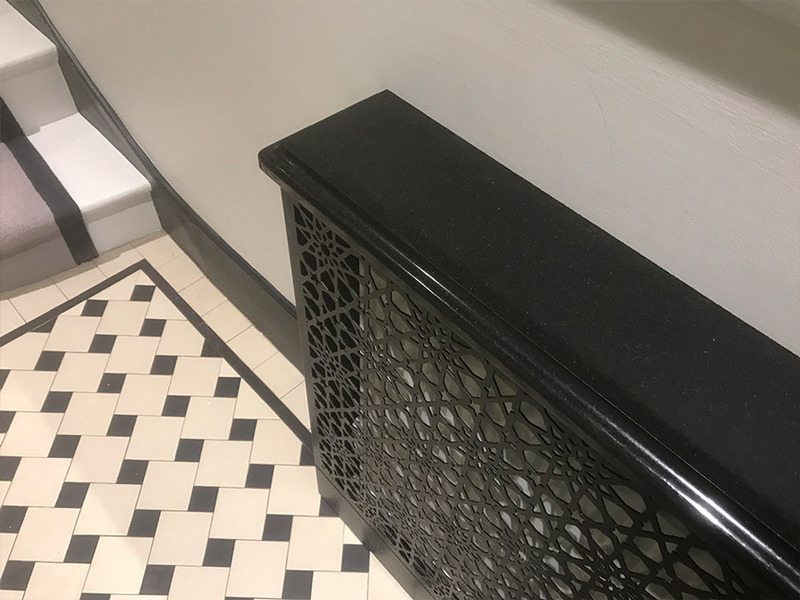 For the hardwearing marble tops choose from a wide range of marble colours and finishes to contrast or compliment your interior colour scheme. 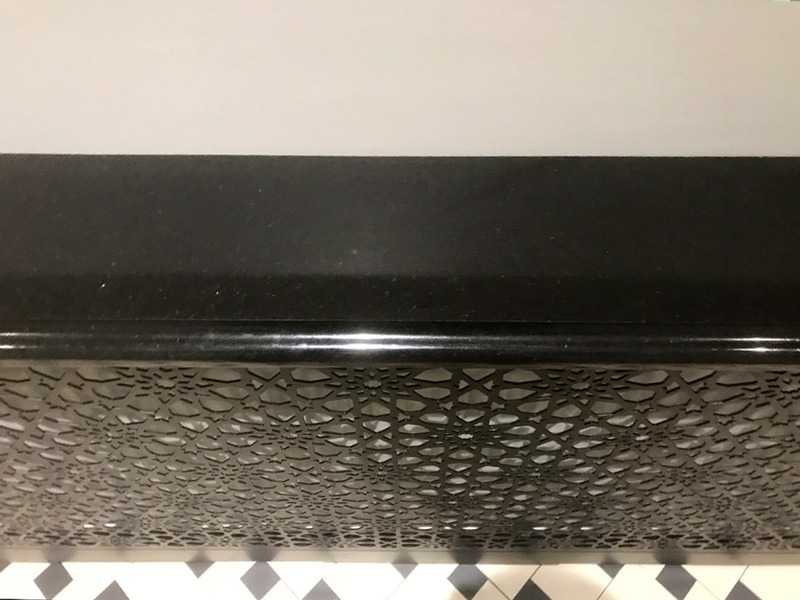 All manufactured and designed in the UK by the leading supplier of high quality radiator covers.